Garage Door Repair Fort Worth TX | No Trip Charge! Veteran Garage Door – Fort Worth – Garage Door Service and Repair You Can Trust! 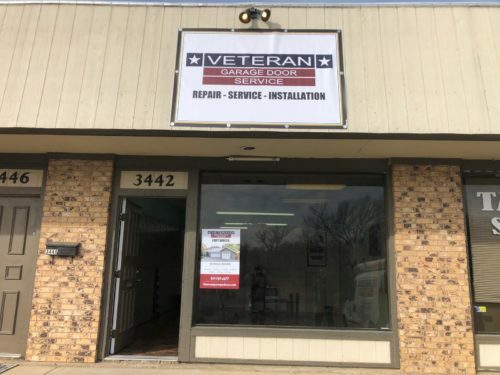 At Veteran Garage Door, we have an established reputation for providing quality garage door service, installation, and repair. If you need to have, your garage door problem fixed today? Wait no longer! Call Veteran Garage Door today for your garage door repairs in Fort Worth, Texas! We are veterans in the garage door repair industry. Why Choose Veteran Garage Door to Take Care of Your Fort Worth Garage Door Needs? We offer same-day service because we know some things can’t wait. Having a garage door problem can be a significant inconvenience and stressful, it can also be dangerous. We take pride in being here when and where you need us. We have a team of skilled technicians who have undergone extensive training in the garage door industry. Every technician is sent out with a fully-stocked truck, which means that they have the tools, equipment, and parts readily available to get the job done right the first time. We won’t put you on a waiting list or leave you waiting days to get your repair done. Your time is valuable, and we won’t waste your time waiting for repairs. When you need garage door repairs, call us. We offer emergency service. When you call Veteran Garage Door, you will speak with a live person who will get your information and tell you when a technician will arrive. Plus, we understand emergencies do happen, and you shouldn’t pay extra for it! We don’t tack on any additional fees for emergency response. At Veteran Garage Door in Fort Worth, TX, we consistently provide excellent workmanship. We have a team of honest, hardworking garage door technicians who take pride in their work. We believe in ensuring the job is done right the first time. We will thoroughly troubleshoot the problem then make sure the entire issue gets fixed and that the job is done right the first time. You don’t have to worry when you call on our Fort Worth garage door technicians to take care of your garage door needs. All our technicians have undergone a background check, and we ensure they have the proper skills and training to address the gamut of problems. Some things are done better when handled the old-fashioned way. We appreciate the time when customer service came first. When we are called to take care of your garage door needs, we do more than fixing the problem; we build relationships. Our goal is to be your trusted garage door repair service for life. We take our customer service guarantee seriously; our team will go a step above and beyond – not just to meet your expectations – but to exceed them. When you entrust us to handle your Fort Worth garage door repairs and service, you should expect a cost-effective approach. We don’t tack on extra charges and service fees. After assessing the situation, we will give you a detailed estimate and explain the options. Our technicians take the time to go over the problem with you and to tell you how it will be corrected. We will not do any work until you understand what is needed and you approve the work. Veteran Garage Doors Fort Worth provides quality results at the most affordable prices around. At Veteran Garage Door, we don’t use subcontractors. And, we don’t just send a repairman out to your house. 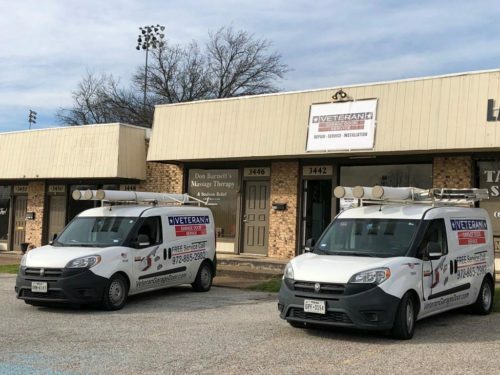 Every member of our team is a professionally trained garage door technician who has hands-on experience and who has undergone extensive training, so they know garage doors, garage door openers, and can do the job fast and accurately. We maintain an extensive inventory of garage door parts and hardware to fix problems quickly. Veteran Garage Door only uses the best quality parts available on the market. We will not use cheap, inferior parts that will fail in no time. All the parts come with the manufacturer’s original warranty. We provide a warranty on all parts, labor, and installation for your project. As part of our customer satisfaction guarantee, we will give you a warranty on the entire job. You don’t have to worry about a quick fix that only lasts for a short time. We will provide routine maintenance services, programming, and inspections as well. 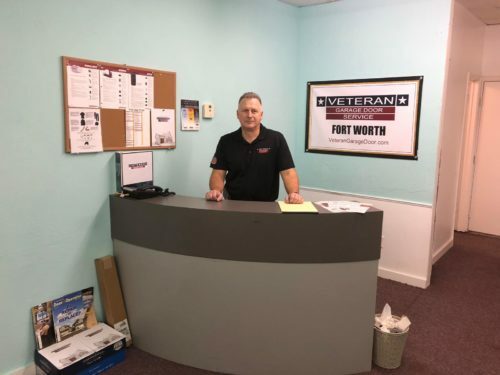 As your go-to for garage door service in Fort Worth, Veteran Garage Door is a respected company that has more than a decade of experience serving the residents and the businesses throughout Texas. We are very knowledgeable about garage door openers as well. If it pertains to garage doors, make the call to us! We service all makes and models of garage doors, including Clopay, Chamberlain, Amarr, Midland, Raynor, Hormann, Wayne-Dalton, LiftMaster, Sears, Northwest Door, Garaga, Martin, Dynaco, Lynx, Alumatek, Steelcraft, Craftsman, Marantec, Precision, Holmes, Genie, Windsor Republic, Andersen, Janus, All-Star, Gadco, Sunshine, Home Link, Plycraft, Lenco, Lawrence, First United, Perma-Door, Powermaster, Skillman, Everite, Mesa, and Marathon. If you need Fort Worth garage door service or repairs, make the call to the team that you can trust. There is never a service charge; you will get a free onsite estimate and a 100% customer service guarantee. You have no risk at all! Make the call to Veteran Garage Door at 817-769-6677 today! Affordable, Risk-Free, Professional Garage Door Service in Fort Worth, Texas!